winning more than 30 international awards for design and play excellence. 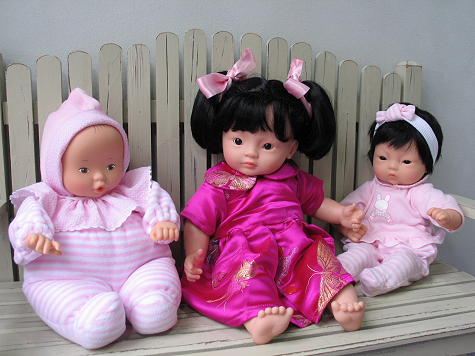 Babipouce Asian is a perfect first doll for babies 12 months and older. Calin Yang is sure to appeal to children 18 months and older. Corolle's Kim doll is meant for toddlers.